Born in East Berlin, Eva Beneke began her studies at the Berlin University of Arts with Professor Martin Rennert. Her success there led her to the Franz Liszt Hochschule in Weimar to study with Professor Thomas Müller-Pering, one of Germany’s most influential guitarists. In 2012, she received a doctorate with honors from the University of Southern California in Los Angeles where she studied with Scott Tennant, Pepe Romero and jazz-guitar legend Bruce Forman. In addition to prizes at international guitar festivals in The Netherlands, Italy and the U.S., Eva Beneke is an internationally acclaimed soloist, chamber musician and published arranger. Her performances have been broadcast nationally and internationally on radio and television, such as NPR´s “Performance Today”. Highlights of her career include appearances with the German Symphony Orchestra under Kent Nagano, invitations to international music festivals in Peru, Mexico, Germany, Lithuania, the U.S. and Canada, a live performance with Carrie Underwood at the 2010 American Country Music Awards, and a duo-collaboration with Grammy-winning guitarist Scott Tennant (L.A.G.Q.) for her latest CD “In Dulci Jubilo – A Classical Guitar Christmas”. 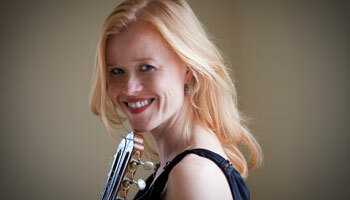 In the Fall of 2012, Eva Beneke joined the faculty at McNallySmith College of Music in St. Paul, Minnesota. Eva Beneke plays strings by LaBella.